George “Stormy” Kromer was an engineer on the Chicago & Northwestern Railroad back in the late 1800s. Not the kind of guy you’d expect to start a clothing company, but one who happened to create a cap that became known for long-comfort and the ability to stay snug, even in the fiercest winds. To see where he was headed on his long, cold runs across the plains, he had to stick his head out the window. Mother Nature stole his cap more than once, and as the story goes, he set out to get her back. Stormy asked his wife Ida to modify an all-cloth baseball cap to help keep it on in windy weather. The result is the Stormy Kromer cap — and the rest is history. All their stuff is stitched right here in the good old U-S-of-A, made to fit like a glove, and true to their legendary heritage. 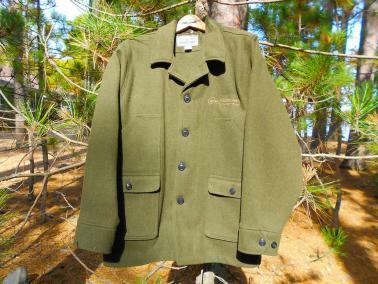 Click here to find out how to determine your jacket size. These are custom ordered; please allow 2-6 weeks for delivery. The legendary cap that started it all. 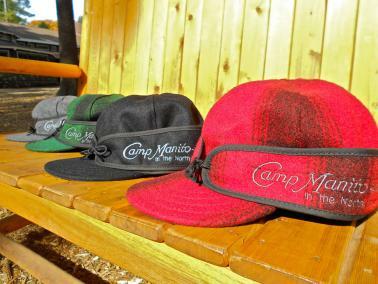 Featuring a retro Manito-wish logo, this hat is made of six panels of pre-shrunk, recycled wool for exceptional comfort, combined with a patented ear band system that can take whatever Mother Nature and Old Man Winter can dish out. 80% recycled wool/20% other fibers. 100% cotton lining. Made in USA. Every day he and his trip mates worked through challenges together. Every day they got closer….It was one of the best, and most formative, experiences he’s ever had.